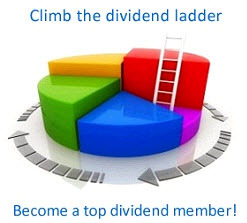 There are other high-dividend-yield strategies that have outperformed the market. A well-known one is called the "Dogs of the Dow," or the "Dow 10" strategy, and is chosen from high-yielding stocks in the Dow Jones Industrial Average. The Dow 10 strategy has been regarded by some as one of the simplest and most successful investment strategies of all time. James Glass-man of the Washington Post claimed that John Slatter, a Cleveland investment advisor and writer, invented the Dow 10 system in the 1980s.13 Harvey Knowles and Damon Petty popularized the strategy in their book The Dividend Investor, written in 1992, as did Michael O'Hig-gins and John Downes in Beating the Dow. The strategy calls for investors at year-end to buy the 10 highest-yielding stocks in the Dow Jones Industrial Average and to hold them for the subsequent year and then repeat the process each December 31. These high-yielding stocks are often those that have fallen in price and are out of favor with investors. For this reason the Dow 10 strategy is often called the "Dogs of the Dow." Another natural extension of the Dow 10 strategy is to choose the 10 highest-yielding stocks from among the 100 largest stocks in the S&P 500. The 100 largest stocks in the S&P 500 Index comprise a much higher percentage of the entire U.S. market than the 30 stocks in the Dow Jones Industrial Average. 13 John R. Dorfman, "Study of Industrial Averages Finds Stocks with High Dividends Are Big Winners," Wall Street Journal, August 11, 1988, p. C2. Indeed, both of these strategies have excelled, as Figure 9-3 shows.14 The Dow 10 strategy returned 14.08 percent per year over the past half century, and the S&P 10 returned a dramatic 15.71 percent per year, more than 3 and 4/2 percentage points a year above their respective benchmarks. And both these strategies have a lower beta than either the Dow Jones Industrial Average or the S&P 500 Index, as shown in Table 9-3. 14 Interestingly, an equal investment in the 30 Dow Jones Industrial stocks beats the performance of the S&P 500 Index from 1957 through 2006 by 73 basis points even though the Dow's beta is less than 1. The managing editor of the Wall Street Journal has the primary responsibility for the selection of the Dow stocks. As noted in Chapter 4, the companies in the S&P 500 Index are chosen primarily on the basis of market value, assuming that the firm is profitable.